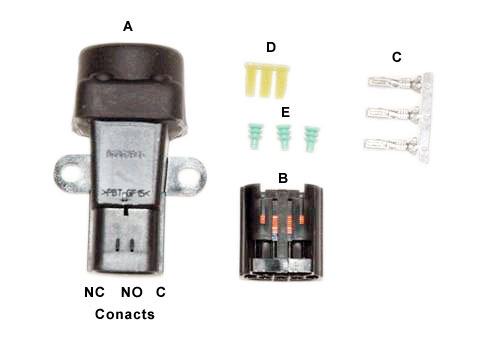 Revington TR's kit RTR8346K - Inertia switch kit, connectors and fitting instructions is a must for any car fitted with an electric fuel pump. In the unfortunate event that you are involved in an accident this kit will cut off the power supply to the fuel pump. It is a modern replacement for the original switch. As an aside when I used to drive more modern cars with this type of device fitted I also used it as an anti theft device. When leaving the car I would trip the switch with a sharp tap so that the car was immobilised. Reset the switch by pushing the button in before driving off and all was ready to go again, not its intended purpose but it worked for me.